We are proud to offer a range of beautiful images printed on to local Welsh slate in a variety of sizes. 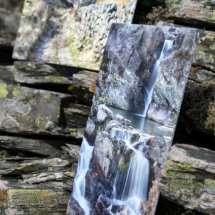 This is our premium photography product with the image printed directly on to local Welsh slate sourced from the Blaenau Ffestiniog region of North Wales. This allows the beautiful natural grain of the slate to be retained in the print. We feel that this gives a stunning result and makes a truly unusual gift from the Snowdonia area of Wales. 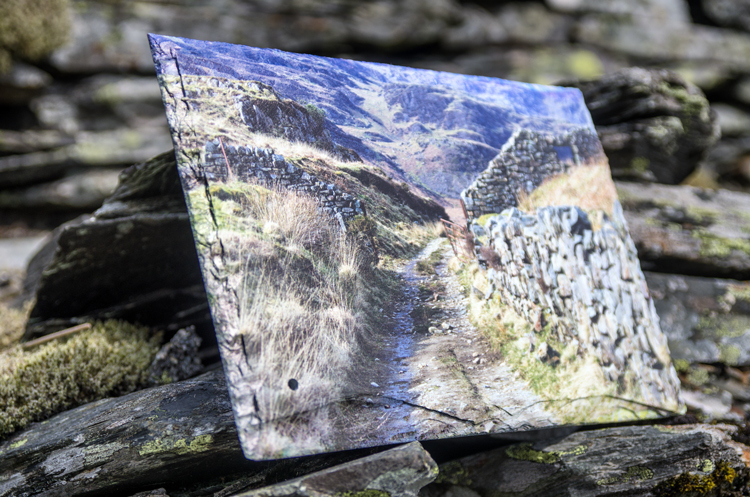 Any of our images can be printed on to slate and the slates are available in a range of sizes up to 12" x 8" - just click on the image you want in our galleries for prices. Please contact us should you require different sizes. We can also arrange for your own images to be printed on to slate - just contact us for more information. Please note that the price quoted on the website for slate products are for the UK only. If you require a slate ordered for delivery outside the UK please contact us first and we can provide you with a quote.